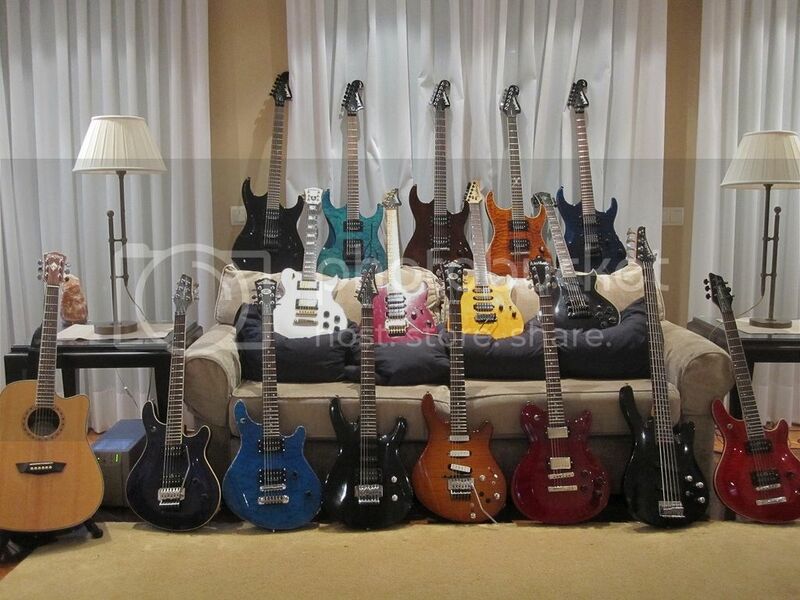 I feel Guitar Poor compared to others. But I get to play each of mine every week. No closet Queens allowed. 2009 Washburn HB-35 Wine Red. 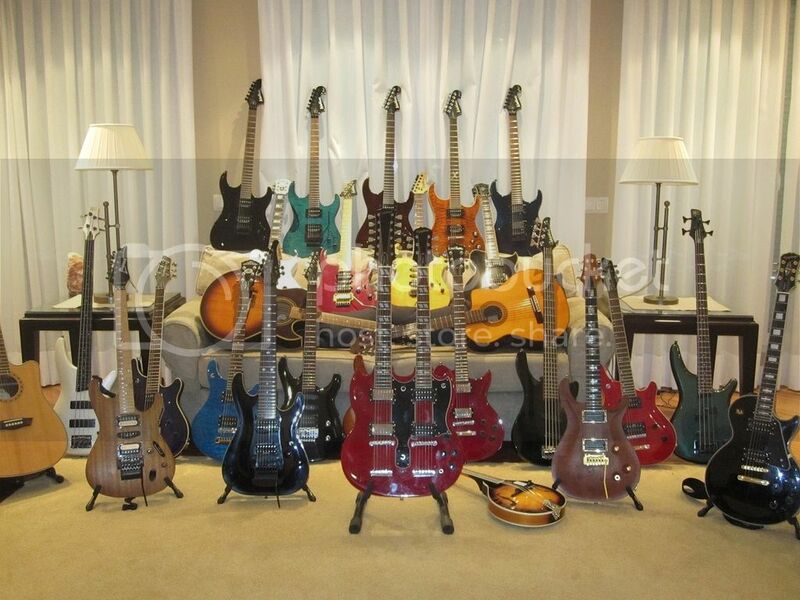 Re: your current guitar collection? Here is the Washburn "family" circa 2015. There have been a lot of changes since then though and one day I will update the reunion picture.